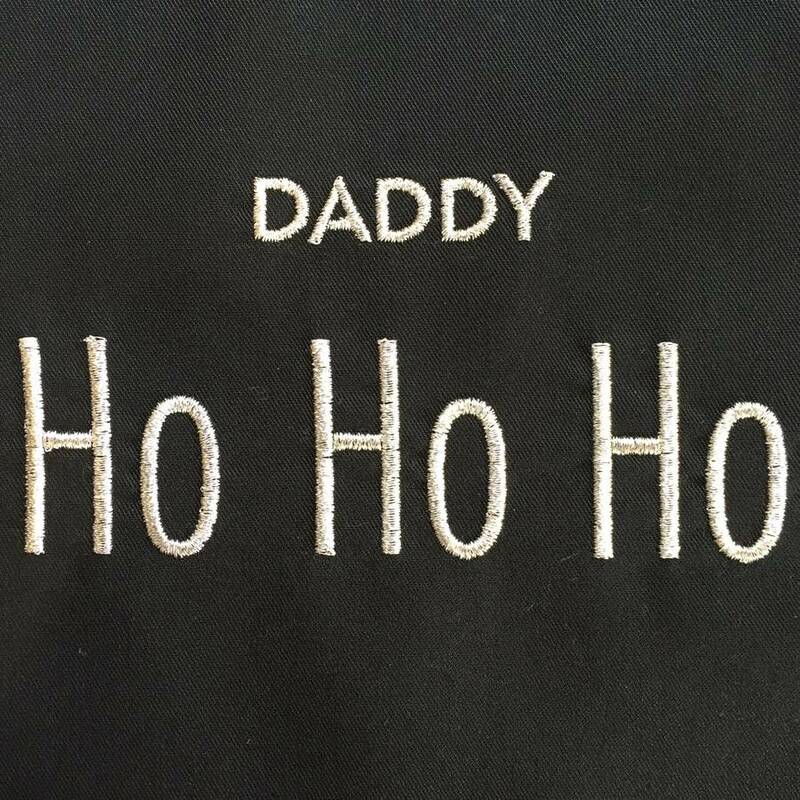 A unique adult apron with beautiful embroidered lettering. 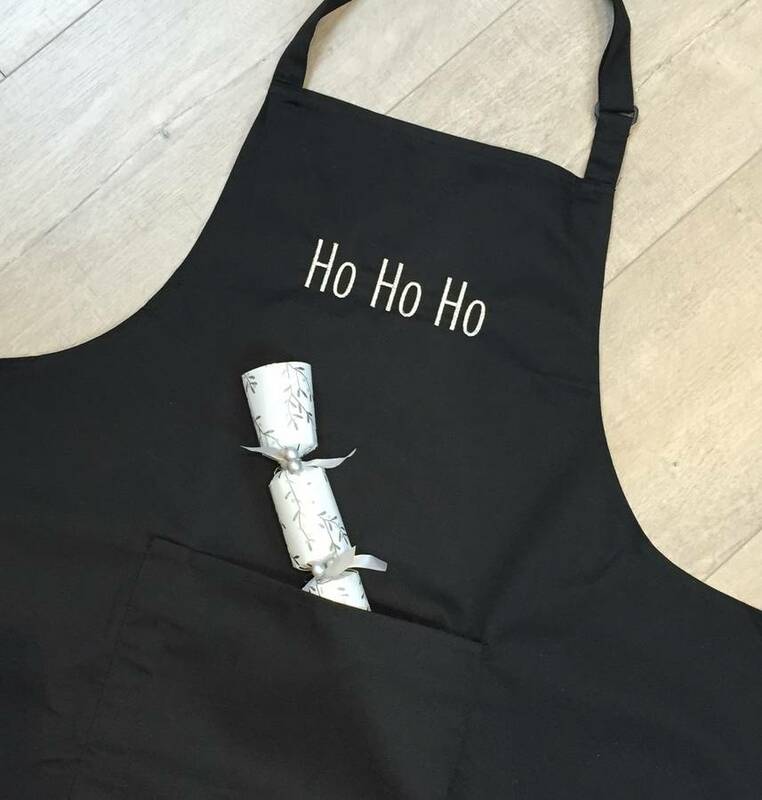 This apron makes a great gift at Christmas time - useful and fun! The lettering is carefully embroidered by us at Big Stitch, we have a large choice of embroider colours. We have also included a sparkling metallic silver or gold thread. For the festive feel. There are several different coloured aprons to choose from. Please view the colour charts to make your selection. 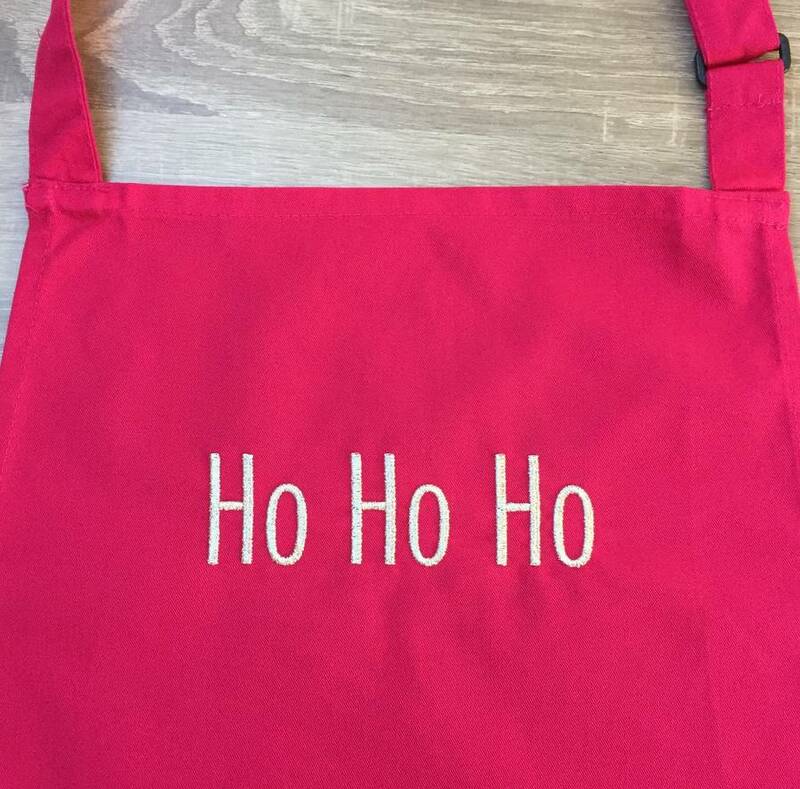 The apron can be purchased with the 'Ho Ho Ho' lettering only, or why not add a name to make a personalised gift. Designed and produced exclusively by Big Stitch.